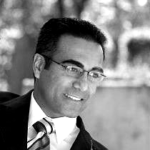 Omar was instrumental in bringing the co-founding team and strategy of Finalytix to where it is today. He leads the overall effort of Finalytix as its solution gets adopted by clients in different markets. Omar has also been a global speaker on FinTech and has been invited to speak at various conferences (see News & Blogs). 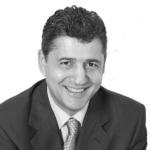 Prior to Finalytix Omar has been involved in Corporate Strategy work at Fortune 500 companies in various markets including the USA/Canada, GCC/MENA, Latin American and the Far East. He has worked as a Partner and Principal at various corporate strategy firms out of the USA and served clients in various sectors which include Financial Services, Oil & Gas and Telecom. Omar also remained as the Chief Investment officer for a large private family office in the GCC where he was responsible for the Private Equity strategy and the management of $500 M in investments in various international markets. Omar has also extensive experience with startups where he has been a serial investor and advises various startups. Omar is an alumni of the Harvard Business School, USA and his areas of focus include Private Equity, Venture Capital and Strategy. He also has an extensive educational background with various undergrad degrees in Mathematics and Economics from the University of Waterloo, Canada, University of Western Ontario, Canada, and the University of Alberta, Canada. Sriniwas leads the Sales & Advisory function at Finalytix, and has more than 13 years experience in Private Banking & Wealth Management advising High Net-worth and Ultra High Net-worth Individuals and Family Offices. Sriniwas has also been a global speaker on FinTech, Wealth Management & Private Banking and has been invited to speak at various conferences (see News & Blogs). Sriniwas has spent a number of years at financial institutions like Citibank and ICICI Bank and was responsible for managing and advising on assets over USD 200 Million. 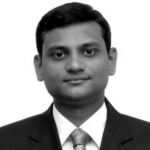 Sriniwas has experience in advising clients on both discretionary and execution only mandates. Sriniwas also has in-depth experience in working with clients in defining Asset Allocation strategies based on their risk profiles for medium to long term investments and trading strategies for high frequency trading clients looking to take advantage of market volatility. Sriniwas has a thorough understanding of the regulatory regime governing financial institutions in GCC having worked with Dubai International Financial Center (DIFC) Authority in Banks & Capital Markets division where he was responsible for attracting financial institutions from Asia to set up their operations and presence in DIFC. Samer leads operations and compliance at Finalytix, and has more than 20 years of Financial Services Technology experience including being MD & CIO of the largest independent investment bank in the GCC – SHUAA Capital for more than 10 years, prior to being a FinTech entrepreneur. In addition to building successful financial technology solutions currently being used across the world, he implemented and operated systems that managed $2 billion in AUM and $50 billion in transactions annually, in compliance with regulatory frameworks and information security requirements. Amar leads the technology effort at Finalytix. He has over 20 years experience in the IT sector and has been a Founder & Director of various technology-based companies in North America providing not only technical expertise but also strategic and business management direction. Amar has provided business and technology solutions across the globe in both the public sector to City and Provincial/State Governments, and private sector companies such as Enbridge Pipelines, Emirates Airlines, Qantas Airlines, Cisco Systems, General Motors, HP, Dell and Best Buy. 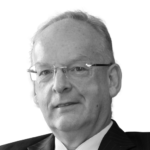 Daud has over 44 years’ experience in the Financial Services Sector with such institutions as Lloyds Bank, Chemical Bank and Midland Bank. He has been the CEO of two Islamic Banks based in Malaysia and spent two spells at Deloitte as a Partner, the second as Global Leader for Islamic Finance, along the way he has been involved in a Technology start up in the 1980’s, formed his own Consulting and Advisory Company and his final full-time employment was as the President and CEO of INCEIF – The Global University of Islamic Finance. Daud is now retired but active in consulting and advisory around financial services, Islamic Finance, Entrepreneurship, Social Impact Finance and Education. He serves on the Board of Trustees of the Responsible Finance Institute Foundation, he is a Distinguished Fellow of the Islamic Banking and Finance Institute of Malaysia and a member of the UK Governments Advisory Board known as the Global Islamic Finance Investment Group. © 2018 FINALYTIX, INC. ALL RIGHTS RESERVED. FINALYTIX® IS A REGISTERED TRADEMARK OF FINALYTIX, INC.